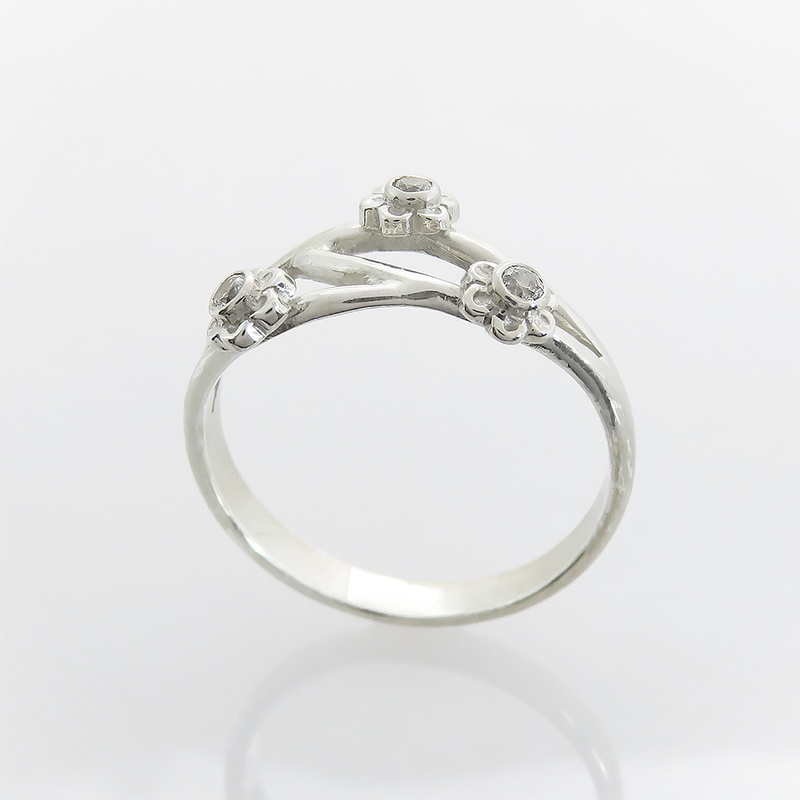 This gorgeous, unique engagement ring is a 14k solid, white gold and diamonds engagement ring. 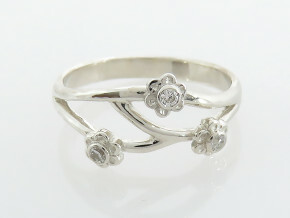 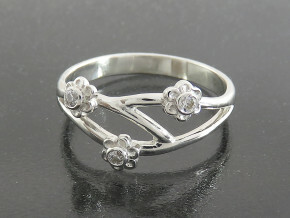 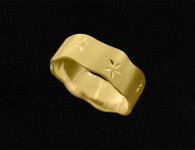 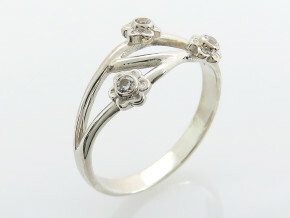 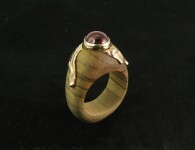 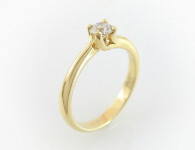 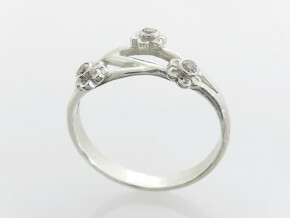 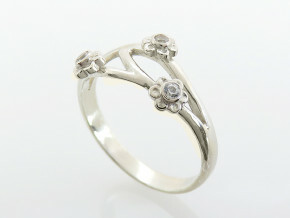 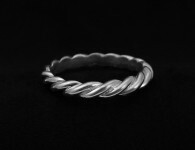 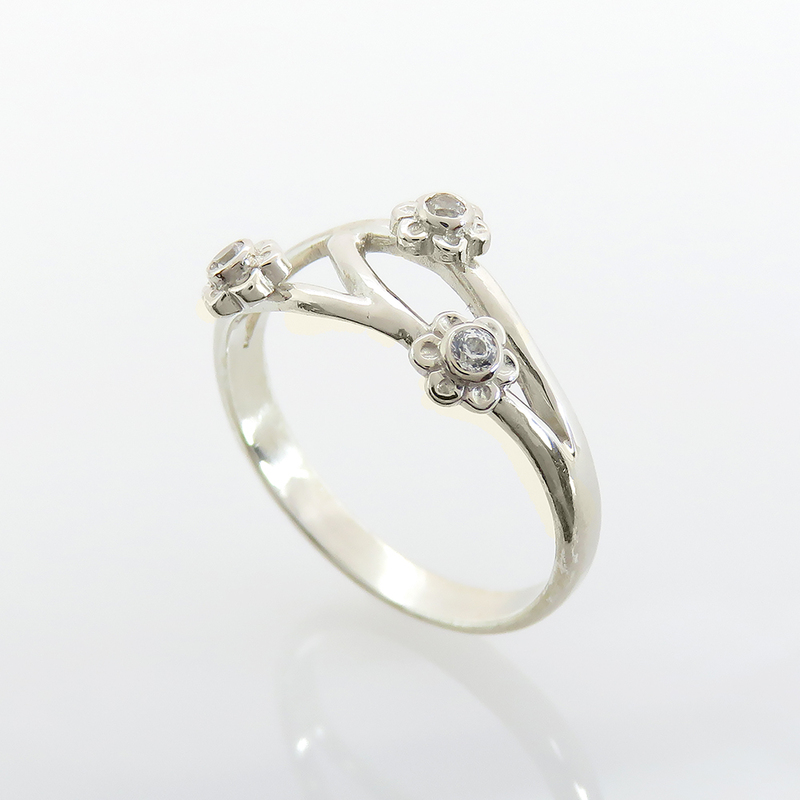 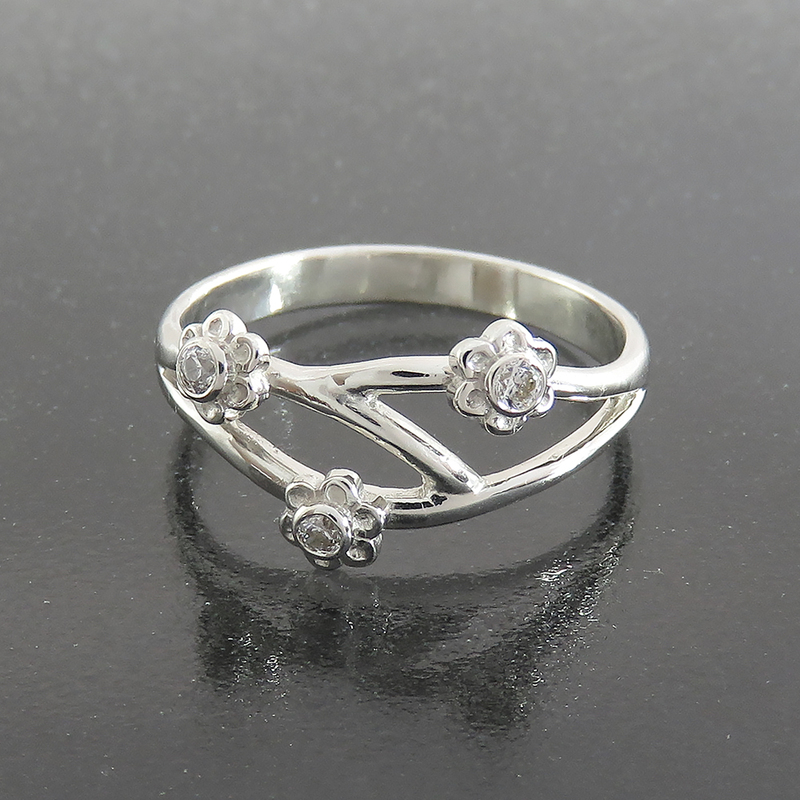 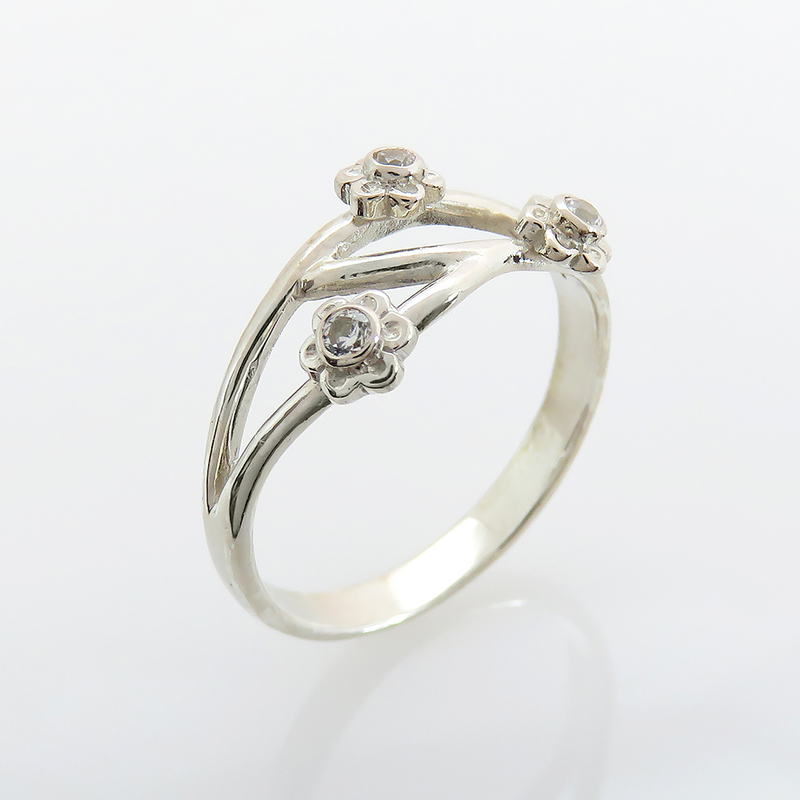 In this beautiful handmade engagement ring, 3 flowers branch out from the stem. 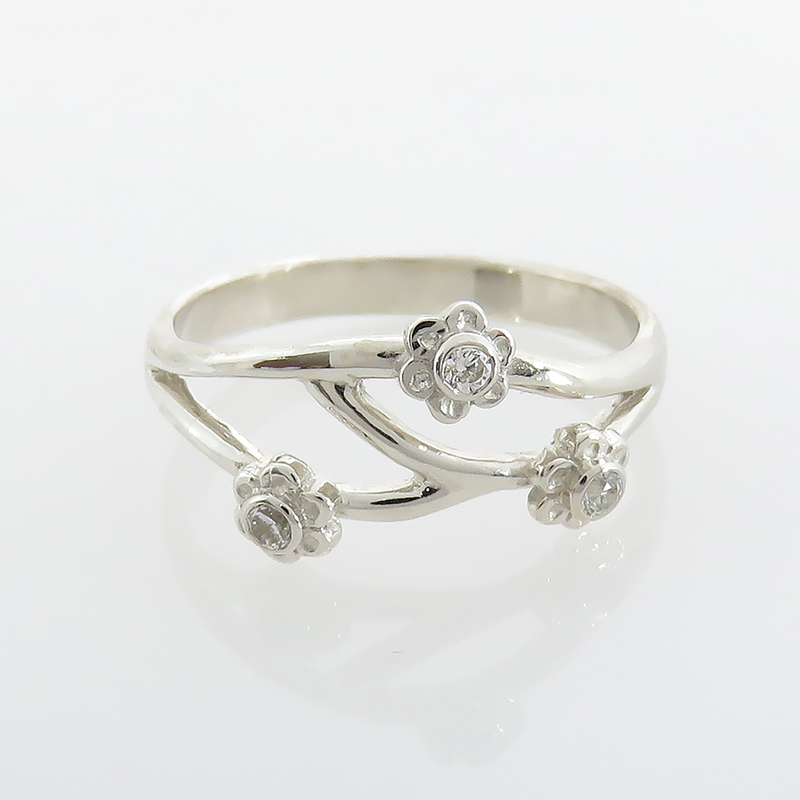 Beautiful and delicate petals surround the three diamonds.